‘Heaven and Hell are here and now’ – The folks at Oh My God took this one seriously. Their lounge features an ambience that transforms you to heaven as you enter this space. Right from the telly representation of clouds, golden walls and harps, to flying elephants. But if this seems too nice a space, you could just head up to the Hell section – with the golden painted walls falling apart to reveal the bricks underneath, a grunge representation of hell, as we know it. 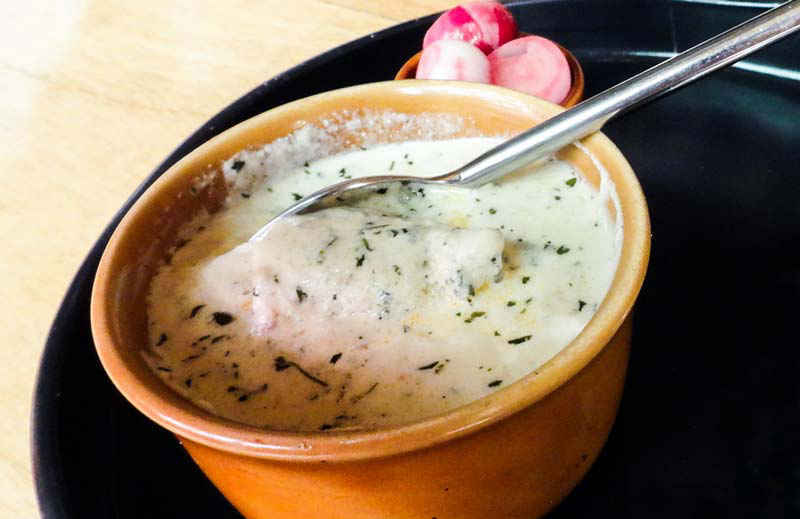 The sixteen-page long menu here caters to most cuisines, and every other dish serves a twist from its original cousin, so be prepared for surprises. 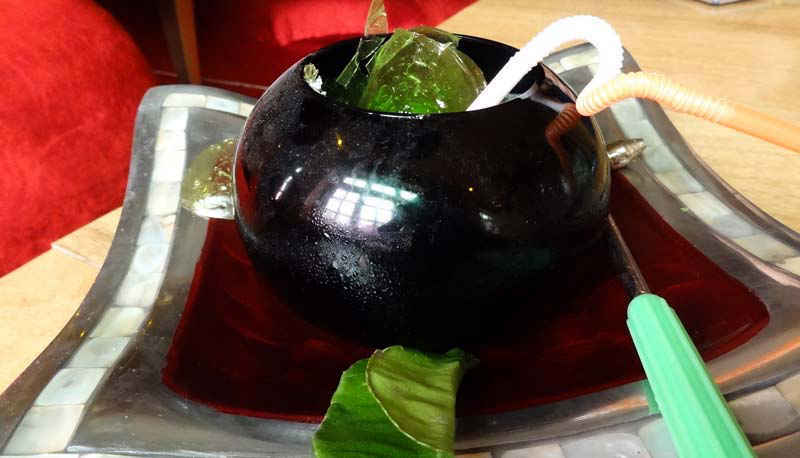 Your way into this vodka-based cocktail is served by smashing the sugar dome it comes packed in. They provide you with a tiny hammer to make your way into it. Once smashed, it reveals the green apple vodka cocktail which is quite strong, yet delicious. You have been warned. An unusual and bold attempt at serving salmon – this appetizer does not disappoint. 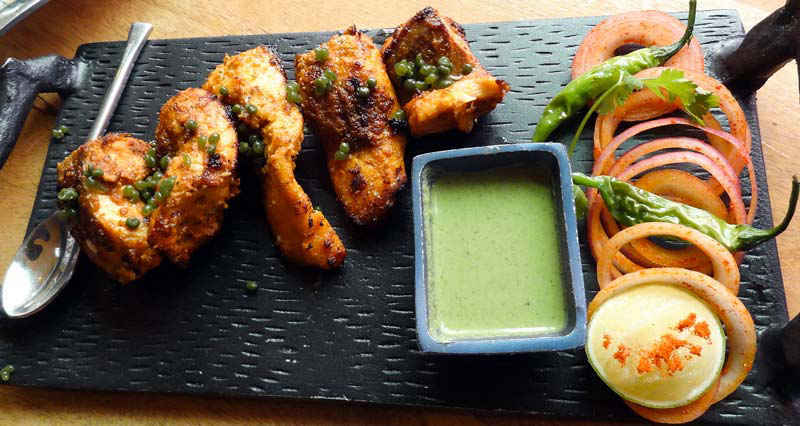 It was served with mint chutney and French beans. The taste of tikka is served with the delicate texture of smoked salmon. If you’re a fan of fish, you will want to lay your hands on this one! Before you order this, remember what we have told you - everything here is served with a twist. While we all know what the authentic jerk chicken looks like, here, you discover a new side to it. These drumsticks come in a deep-fried crust, and as you bite into it, the juicy chicken reveals the Jamaican spices it has been marinated in. The BBQ sauce is a plus, making it a perfect combination. 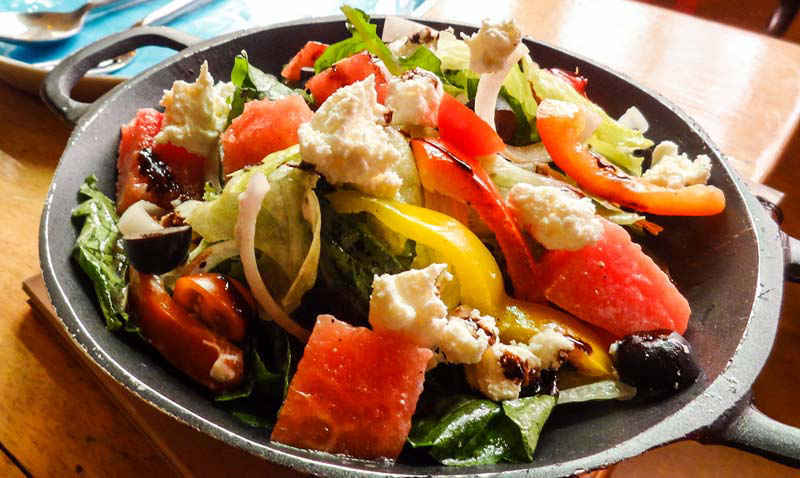 We tried their watermelon and rocket salad with balsamic pearls and feta cheese. This was our favourite part of the meal. Delicious and fresh salad – the combination of rocket leaves, watermelon, balsamic vinegar and the feta cheese was simply divine. This one’s for the vegetarians out there. We know soya is all the fad right now and happens to be a good substitute for meat. Folks at Oh My God have thus catered to this. 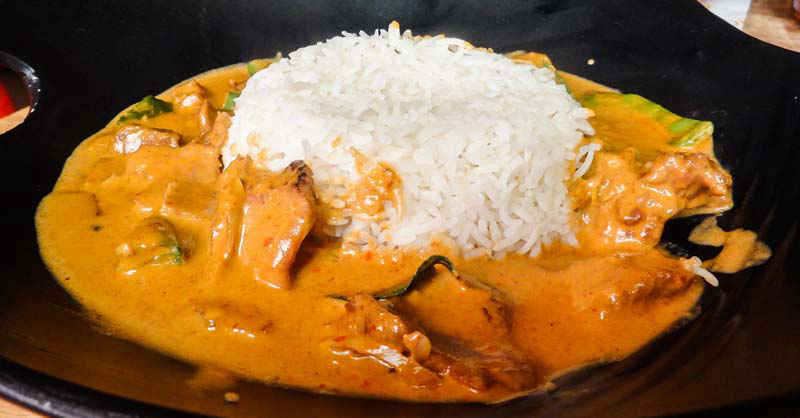 A creamy curry which is not too heavy on the palate is served with a bread of your choice. The presentation definitely caught our attention. Serving chutney out of a mini cooker is clever! Although it claims to be served with sticky rice, we got steamed rice. However, the dish was flavourful, and gave out the delicious lemongrass aroma. Lamb meat was unusually tough, but somehow made peace with the palate. We had never heard of something like this before, and had no idea that something of the sort existed. But we were certainly blown away by it. 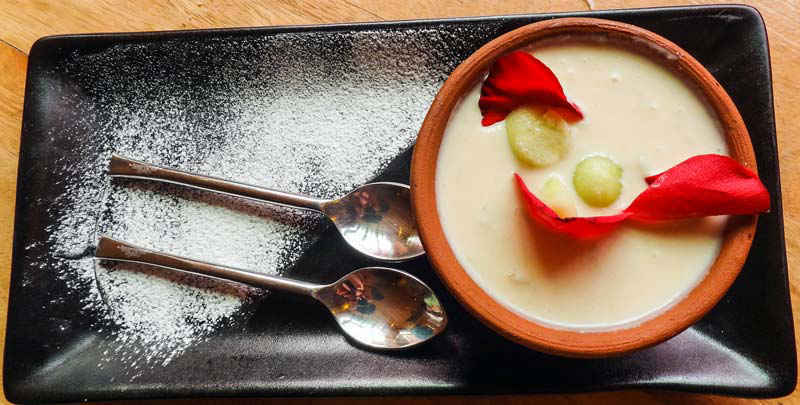 Fresh musk melon is cooked with milk and sugar and served with tiny scoops of the fruit itself, garnished with rose petals. This is the way to beat the heat wave, you guys. This was our second favourite part of the meal. And also a good way to end the experience at heaven.